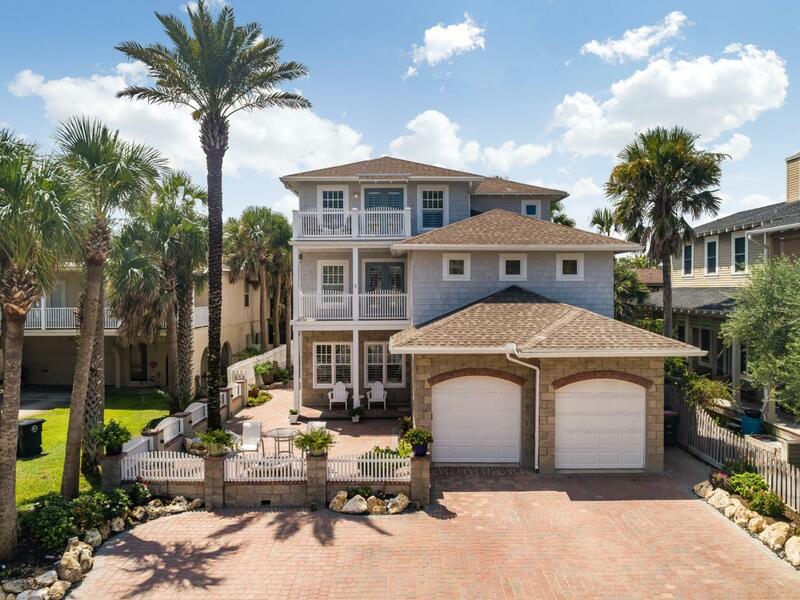 Coastal Beach Ave. beauty that combines the famous Atlantic Beach charm with the amenities of a newer home. Immaculately and lovingly cared for with a charming, pavered walled courtyard to enjoy outdoor living. Bamboo flooring and plantation shutters throughout. Freshly painted exterior. Concrete block on the first floor and cedar shake on the 2nd and 3rd floors. New A. C. Open floor plan with 2 living areas, dining room and spacious upgraded kitchen on 1st level. 2nd floor with 3 bedrooms, 3 full baths and a 2nd family room. 3rd floor is a private master wing with an office or 5th bedroom. Two east facing decks with new IPE and railing. Great parking. Walk across the street to the ocean!